Home / News / Nandamuri Hari Krishna is no more! 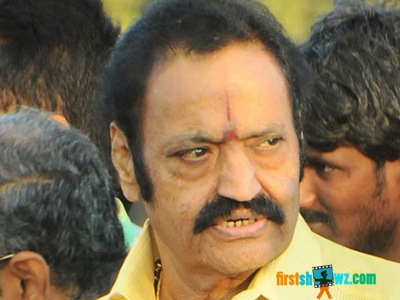 Nandamuri Hari Krishna is no more! In a shocking incident, actor, producer, politician Nandamuri Hari Krishna died in a ghastly road accident near Anneparthi in Nalgonda district.The accident took place at early morning 4.30 AM when Hari Krishna was travelling from Hyderabad to Nellore in order to attend a wedding. Hari Krishna's car was on a high speed at around 160 Km/H and the car overturned and severely damaged. He suffered major head and chest injuries and was rushed to a hospital. But Harikrishna couldn’t respond to the treatment and breathed his last. Hari Krishna's elder son Janakiram also passed away 4 years ago in a similar road accident. It is really sad that such road accidents costs two lives from same family. Nandamuri family members have rushed to hospital but the news has come as a deep shock to family, fans and entire film fraternity. Firstshowz.com conveys heartfelt condolences to Nandamuri family. #RipNandamuriHarikrishna garu.